Acupuncture works by using needles to access the Qi (pronounced "chee") or vital energy at acupoints, and manipulating that energy in specific ways. One can either supplement, drain, or move the Qi in order to restore the proper flow of energy through the meridians (pathways for Qi) in the body. Meridians are similar to rivers or little energy highways in the body. They are all interconnected and correspond to specific organ systems and flow in designated directions. Whenever Qi is stuck in a specific area, something happens like a logjam in a river or a traffic jam on a highway, and that part of the body will react, becoming painful or manifesting signs of pathology in an area associated with its correspondent organ system. Similarly, when there is not enough Qi flowing in a certain meridian, symptoms such as weakness and fatigue may occur, signaling that not enough nourishment is being circulated to all or part of the body. Or if the energy goes the wrong way in a meridian, like an errant car traveling the wrong way down a one way street, other types of imbalance will arise. Acupuncture and Oriental medicine is one of the fastest growing forms of health care in the United States. This explosion is due to the recognition by consumers and regulators of the safety, effectiveness and low cost of this form of health care. Over 40 states and the District of Columbia have recognized the practice of acupuncture and Oriental medicine. Legislation has been introduced in an additional four states. Clinical studies indicate that acupuncture is effective in treating headache, dysmenorrhea, fibromyalgia, stroke, substance abuse, menopause, depression, female infertility, neck pain, low back pain, osteoarthritis, morning sickness, respiratory disease, urinary dysfunction, tennis elbow and facial pain. The FDA estimated in May 1993 that there were 9 to 12 million patient visits each year for acupuncture. Acupuncture has been cited by the World Health Organization to treat over forty-three conditions including allergies, asthma, back pain, carpal tunnel, colds and flu, constipation, depression, gynecological disorders, headache, heart problems, infertility, insomnia, pre-menstrual syndrome, sciatica, sports injuries, tendonitis and stress. The Accreditation Commission for Acupuncture and Oriental Medicine (ACAOM) is recognized by the United States Department of Education. Acupuncture is a three-year masters level program. Oriental medicine is a four-year masters level program. Over 45 colleges are accredited or in candidacy status. Acupuncture is used in more than 20 states in over 800 drug dependency programs. Patients who go through these programs have lower re-arrest rates on drug-related charges than those not treated with acupuncture. The 1997 National Institutes of Health Consensus Conference on Acupuncture stated, "The data in support of acupuncture are as strong as those for many accepted Western medical therapies." The National Institutes of Health Consensus Conference on Acupuncture recognized the effectiveness of acupuncture in the treatment of several diseases and stated that "One of the advantages of acupuncture is that the incidence of adverse effects is substantially lower than that of many drugs or other accepted medical procedures used for the same conditions." The Western Journal of Medicine in 1998 reported that a 1996 Kaiser study found that 57.2% of primary care physicians in Northern California used or recommended acupuncture in the last 12 months. A study in six clinics in five states showed efficacy and cost savings of acupuncture. Of the patients treated with acupuncture, 91.5% reported disappearance or improvement of symptoms; 84% said they see their MDs less; 79% said they use fewer prescription drugs and 70% of those to whom surgery had been recommended said they avoided it. The number of licensed acupuncturists in the U.S. has nearly tripled between 1992 and 2000, rising from 5,525 in the fall of 1992 to 14,228 in the fall of 2000. A controlled clinical trials in the United States have evaluated the use of acupuncture combined with standard stroke protocol for the treatment of paralysis due to stroke. 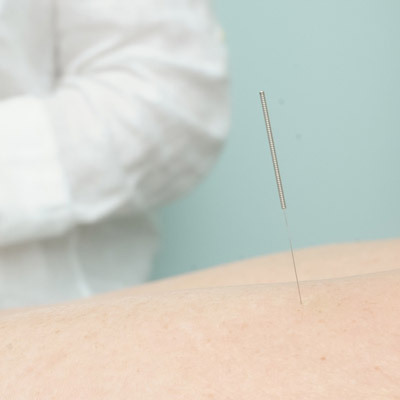 Effective or markedly effective results were found for over 80% of the patients receiving acupuncture with a cost savings of $26,000 per patient. The National Certification Commission for Acupuncture and Oriental Medicine (NCCAOM) offers three independent certification programs: Acupuncture, Chinese Herbology, and Oriental Bodywork Therapy. The NCCAOM has certified over 9,000 practitioners in 47 states and 18 foreign countries. In Miami-Dade County drug offenders have a choice of acupuncture or jail. A study by the New York advocacy group, Patients Have Rights, showed that 90% of the respondents had heard of Chinese medicine and acupuncture and 13% had used acupuncture. 80% of the respondents described their experience as "favorable" and 100% thought is it was important to have a choice in the type of medicine they use.